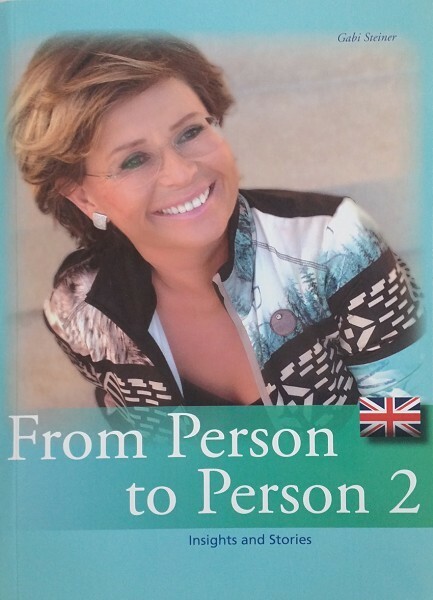 Produktinformationen "From Person to Person 2 (English)"
"Von Mensch zu Mensch 2" in englischer Sprache! "My motivation for writing the book was my burning desire to pass on my experience, be it positve or negative, and give as many people as possible the opportunity to achieve their desires", explains author Gabi Steiner. With this quote from her first book, "From Person to Person", Gabi Steiner has already generated a great deal of interest. In this, her latest book, the insights and stories compiled by her in diary form are meant for you as a reference. This way a guidebook has been created for your business based on "From Person to Person" with important insights and numerous tips that can give all her active team partners the answers to "HOW". "Network marketing is like driving down a motorway in the fog: You drive for 100 meters and then you see the next section." And that is exactly where this book comes into play. Readers can learn from lessons already learned - and avoid making the same mistakes. And their insights will match hers. The fog has cleared... and reveals a six-lane motorway. Weiterführende Links zu "From Person to Person 2 (English)"